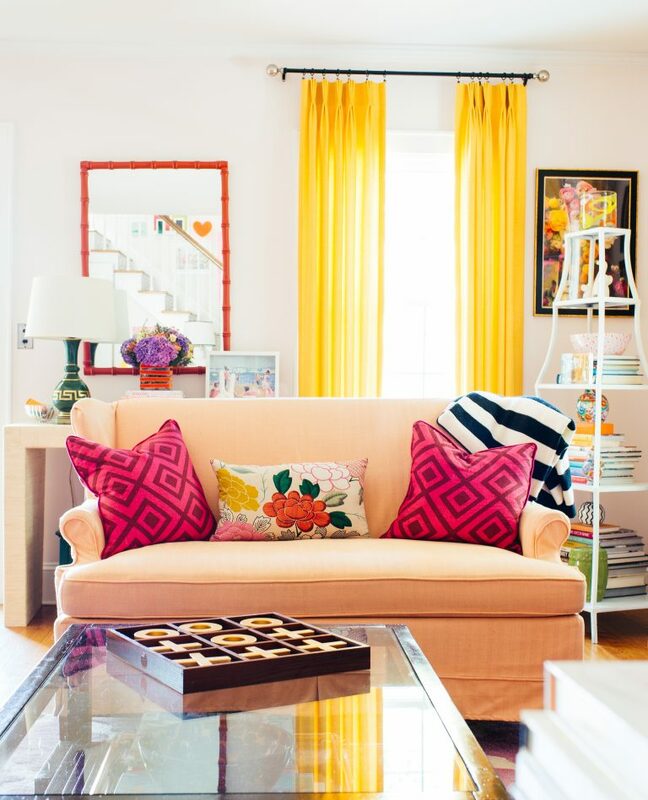 Calling all color lovers! 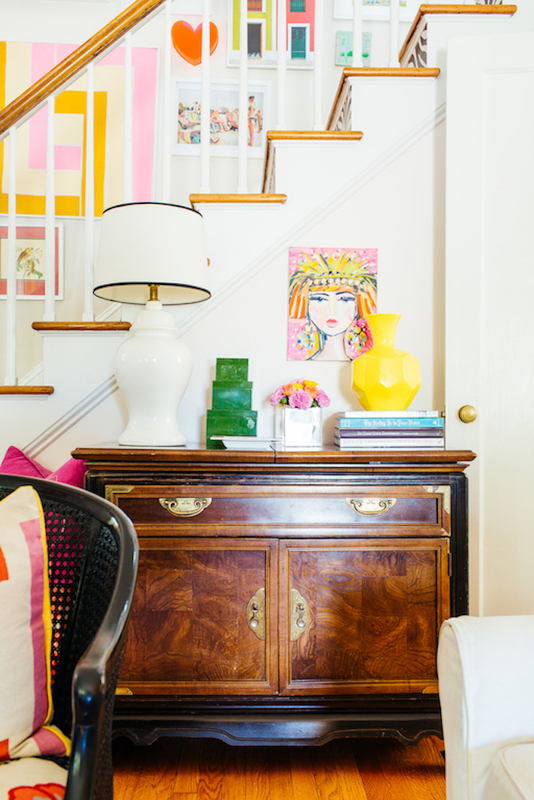 Today’s Eclectic Home Tour of Effortless Style Interiors is bold, bright and fun! 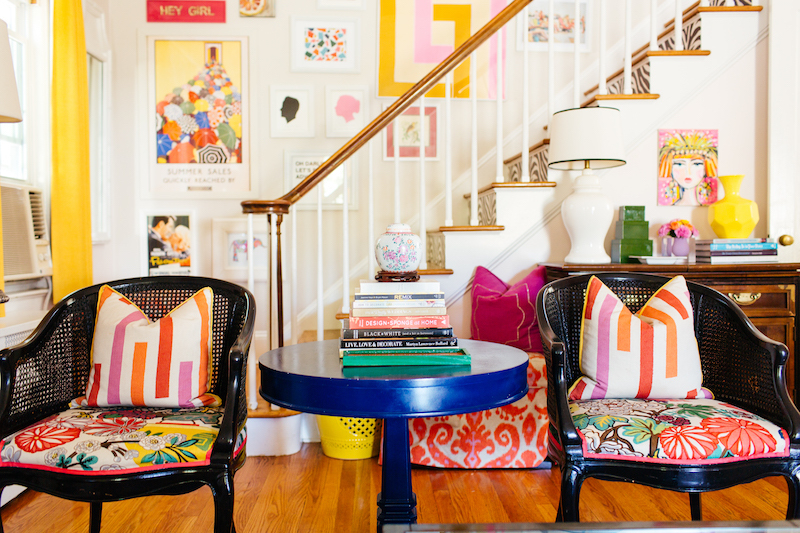 This gal knows how to mix color and pattern for a one of a kind home! 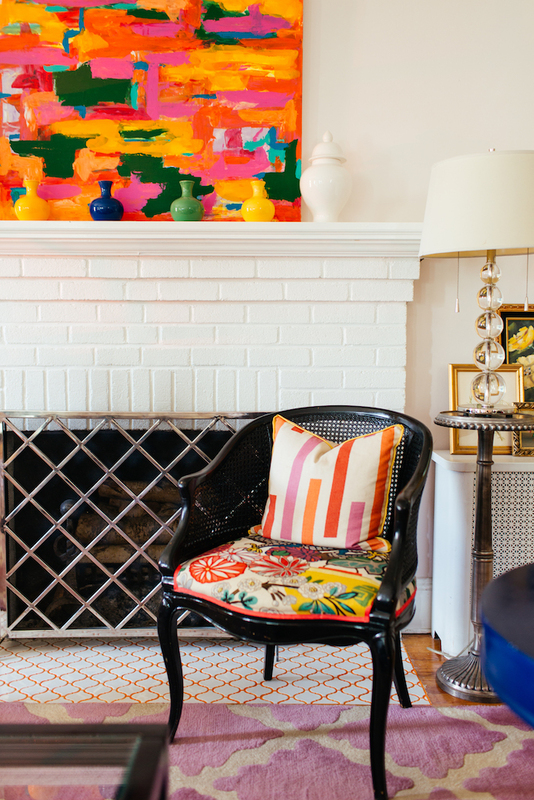 Camila of Effortless Style Interiors shows no fear when decorating her home and I love that she isn’t afraid to show off her own unique personality. Says Camila, “A room should be an effortless reflection of who you are. It shouldn’t look like a page out of a catalog or the set from your favorite TV show. 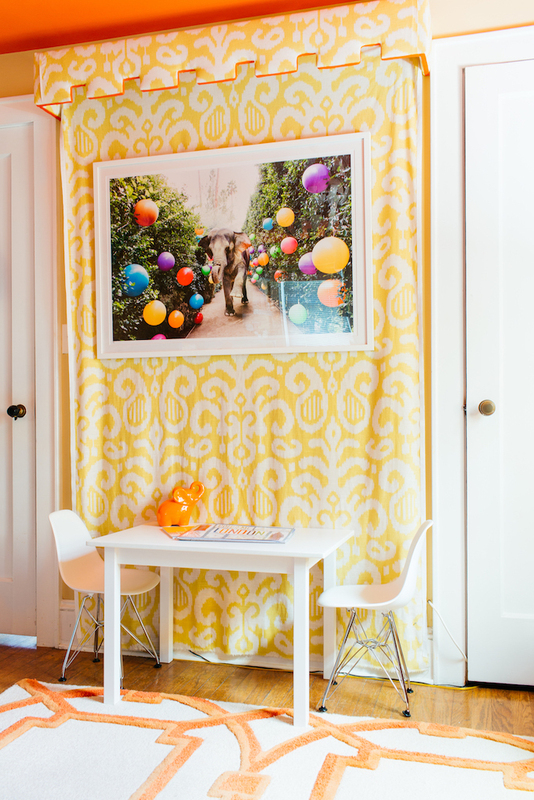 Your friends and family should be able to walk into your space and immediately feel comfortable because it reminds them of you. The brick was painted white and new tile was laid on the hearth. 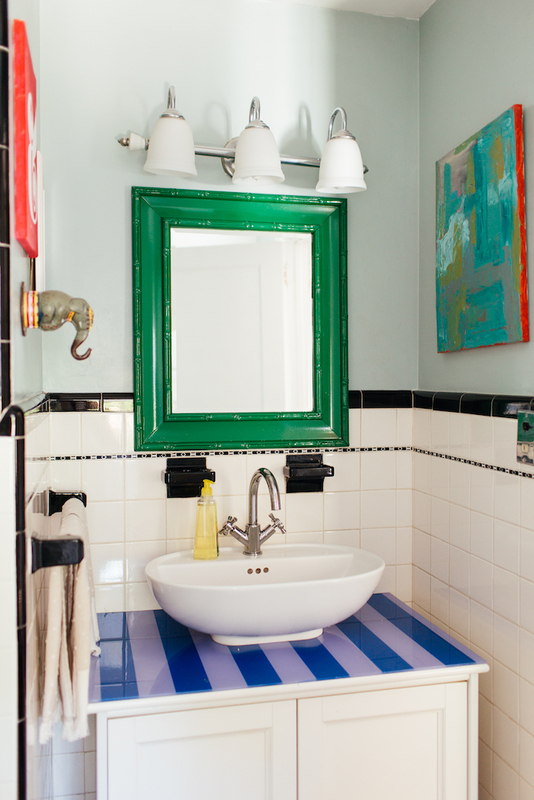 Camila couldn’t settle for boring white grout so she painted it a vibrant orange. 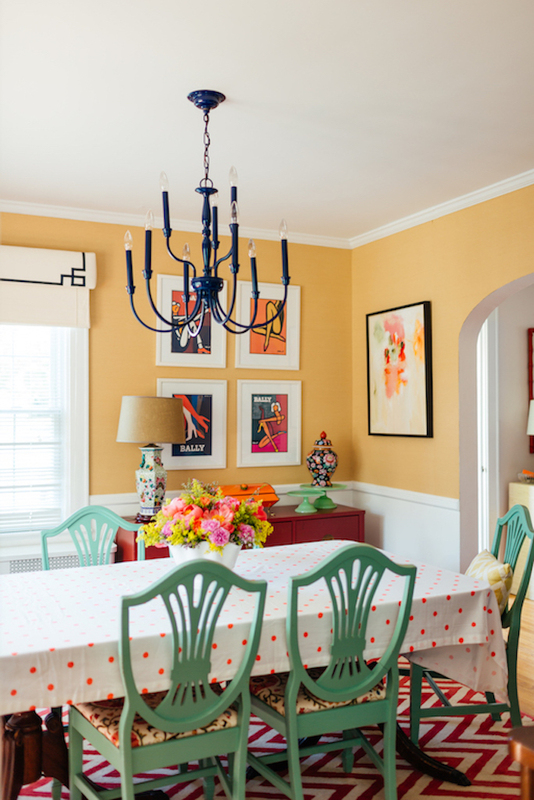 A pair of vintage chairs get a colorful makeover. 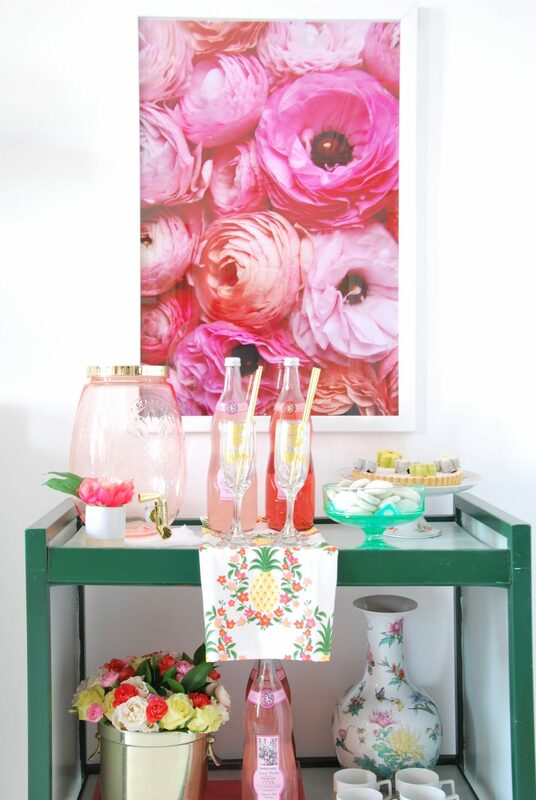 One person’t trash was Camila’s treasure when she scored this vintage cabinet at a neighbor’s curb! 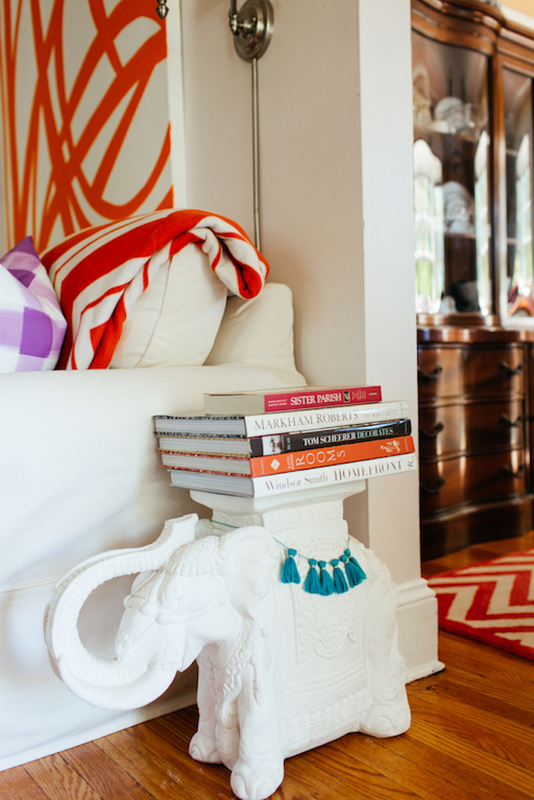 Quirky touches like this vintage elephant stool are great conversation pieces. 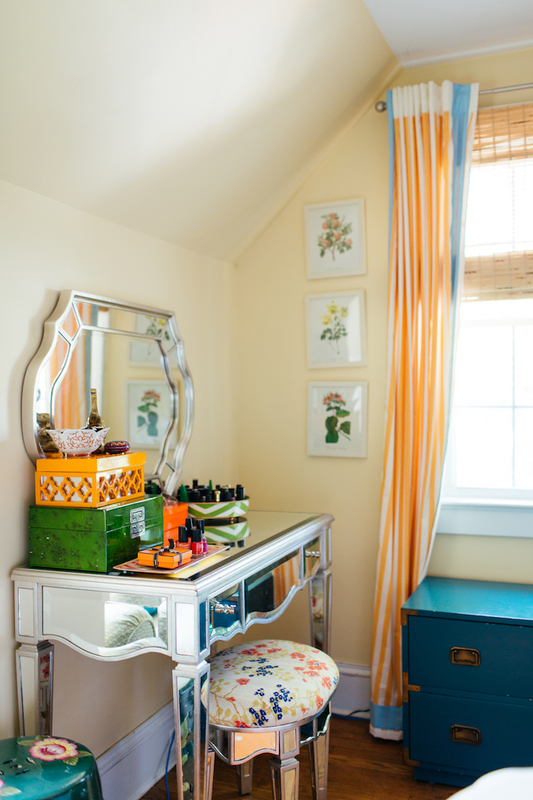 The sunroom turned into a light and bright home office. I’m not a fan of fans but have made a huge exception for this clear acrylic fan. 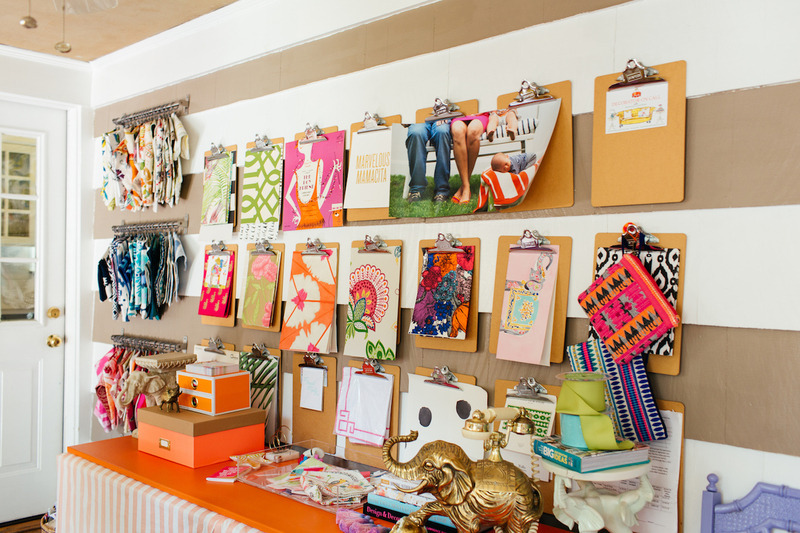 Clipboards keep design inspiration organized and on display. 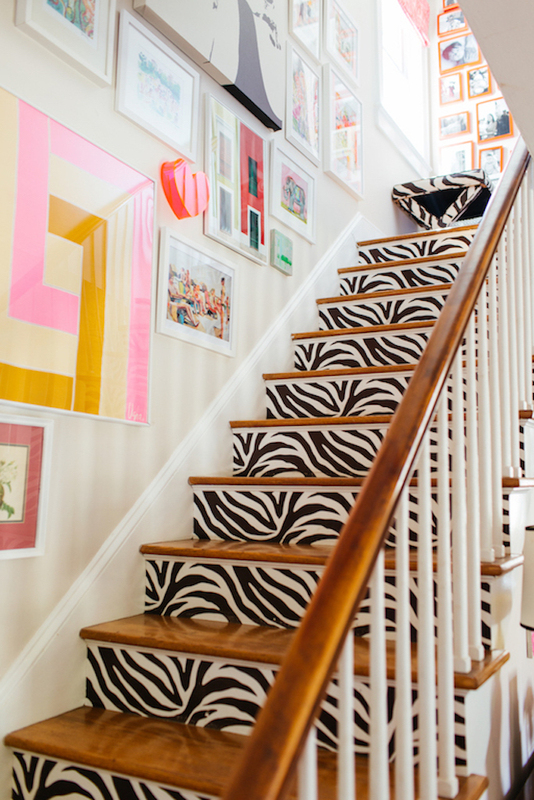 Decals are a no commitment way to jazz up a staircase and this zebra print is wild! 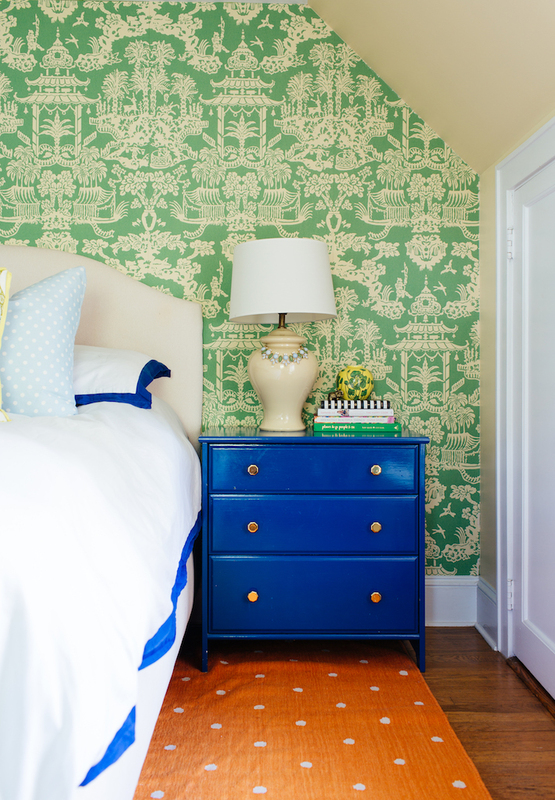 Asian inspired wallpaper is a beautiful backdrop on the bed wall. 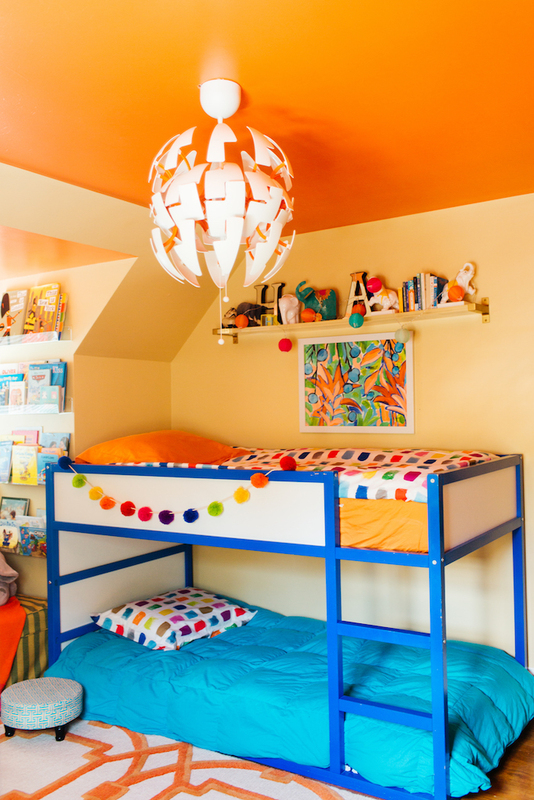 The kids room gets a dose of orange on the ceiling. 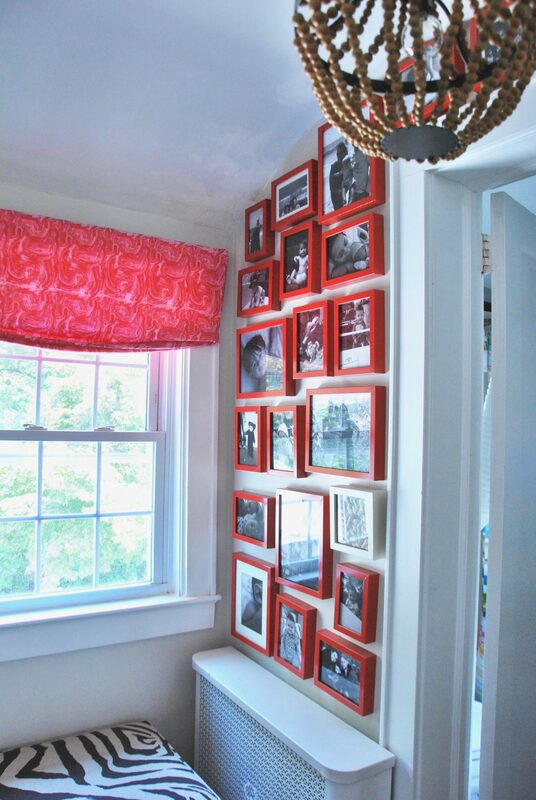 This is a great DIY on a budget. Camila had a piece of glass cut to counter size then painted stripes on the bottom side. 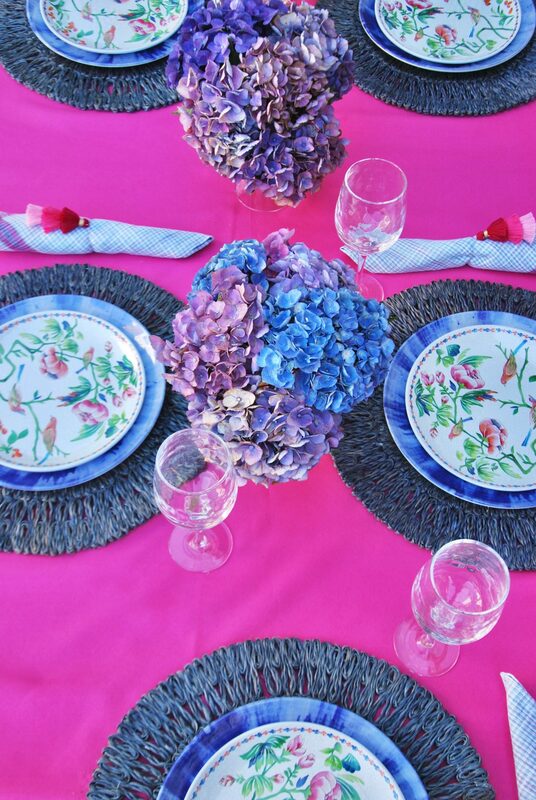 Even her table settings are party ready. Camila doesn’t just work her magic on her own home, she is an interior designer who designed this amazing mermaid bathroom. 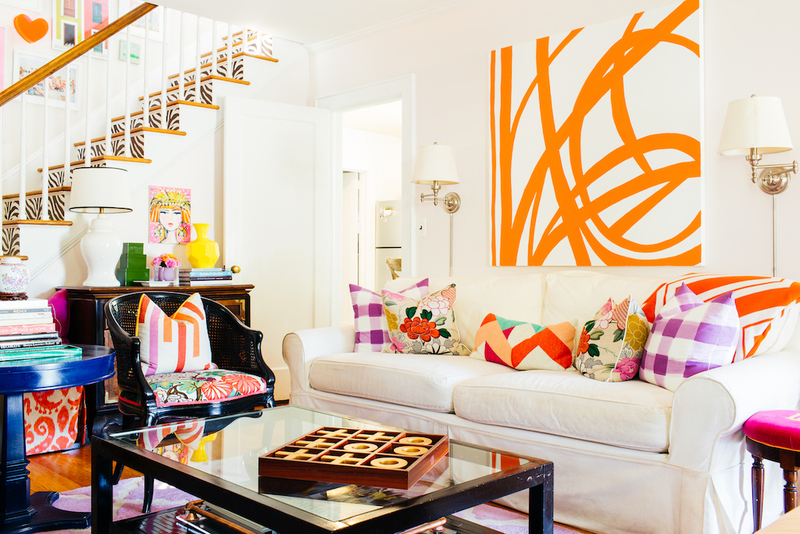 Visit Camila at Effortless Style Interiors for more colorful style. P.S. Don’t forget to visit my affiliate curated Amazon shop HERE filled with some of my favorite finds in one spot! « Previous: How to Make Epic Charcuterie Boards – from an Expert! i am in love with camila’s mermaid bathroom! This is probably by far my favorite home tour you have shared. I wasted no time going over to her website and immediately started following her on Instagram! Thanks for sharing!!! That’s great Michelle! I like to have a wide variety of styles on my tours and this one is definitely fun! WOW,WOW AND WOW!! I’m more of a neutral person but oh my is this AMAZING!! The burst of color and the way she ties the colors together is striking!! LOVE IT!! She definitely knows how to have fun with color! So glad you enjoyed the tour Cheri! That was incredibly fun!! I love the brass detailing on that vintage cabinet. Me too – and the cabinet was free! Could you tell where it was purchased? I absolutely love it! Isn’t it amazing! Click the link in the post to go to Camila’s blog and you can ask her. 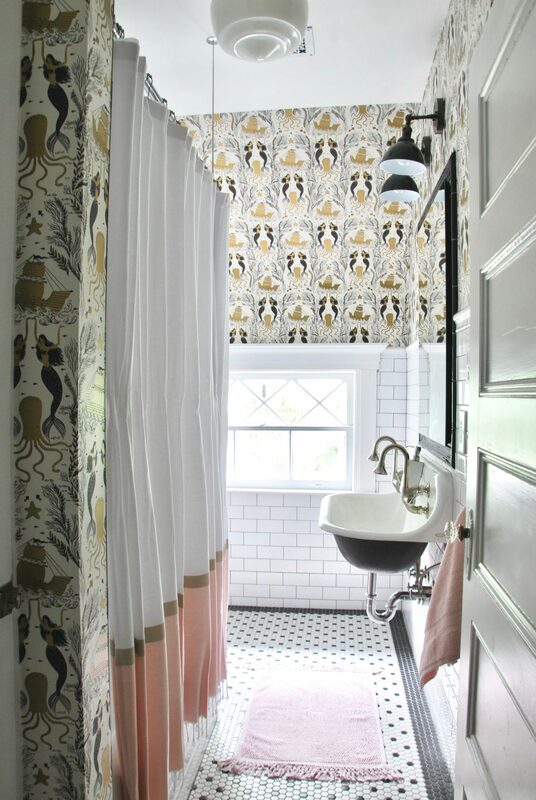 I am in love with these interiors. Color is everything to me. Jeff Lewis and Joanna Gaines, while very good at what they do, their interiors would make me kill myself if I had to live in them. They are so basically numb and void of life. This is awesome, thanks for sharing. So glad you like a little color Lesley!